Visitors to our site often have questions about herbs and how they can improve our sense of health and well-being. While we refrain from commenting on the medicinal qualities of herbs, consider that herb gardening itself is a past time that has many positive qualities, such as improving a individual mood and calming the spirit. If you are seeking medicinal information on herbs for health and wellbeing, we can refer you to those organizations who provide reliable information on the medicinal use of herbs and herb research. While some take up gardening as a fun weekend hobby or a cheaper way to add fresh herbs and veggies to their diet, there may also be some health benefits to getting down and dirty in the backyard. Recent studies suggest gardening can improve mood, reduce stress, and even encourage a more hopeful outlook on life. When it comes to the distressed, another study suggests that gardening outdoors could be more effective at reducing cortisol levels (read: the “stress” hormone) than staying indoors and reading. Additional research suggests that in some individuals, gardening might also bring out greater feelings of spirituality and could even offer relief from traumatic experiences like dealing with illness or the death of a loved one. 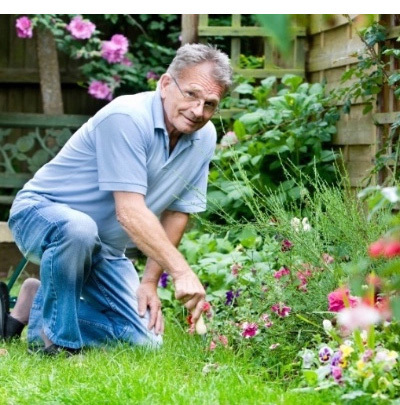 In one study, researchers found that gardening can be therapeutic, particularly among those suffering from depression. Over the course of a 12-week horticulture program, subjects showed decreases in the severity of their depression, with the biggest mood boosting effects occurring in those who were most engaged in their gardening activities. Show me more about organizations that provide reliable information on the medicinal use of herbs and herb research.